“Fresh, contemporary and unputdownable” – The Bookseller. “It’s brilliant and important … Even if you’re not interested in fashion (and I’m not), you’ll enjoy this book. And if you’re a big fan of cheap fashion, you should definitely read it – it may give you something to think about” – Chicklish. “From the author of the prize-winning Threads, this is a gloriously entertaining and snappy read for anyone who has even a thread of interest in any aspect of fashion.” – Lovereading4kids. 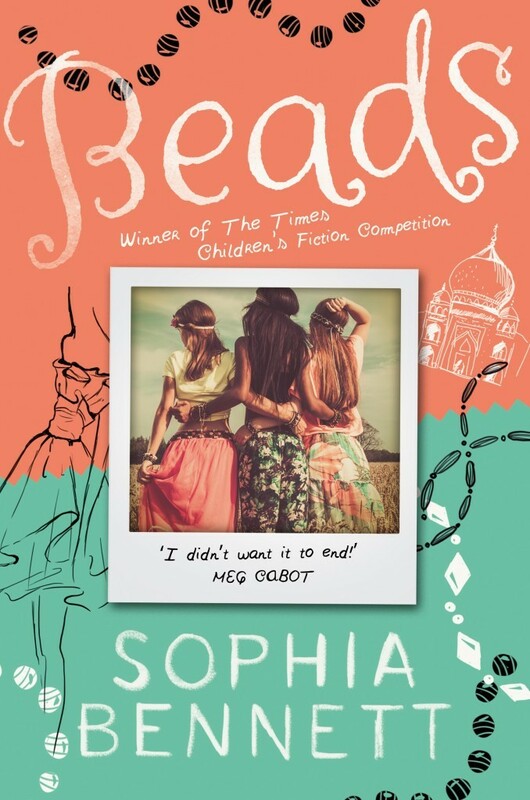 “Three cheers for Sophia Bennett” – The Times. When I started to write Threads, it was a one-off story. A story I never thought would be published. Not as it was, anyway. Not with high fashion and war victims from Uganda. But strange things happen. Lots of people liked the story after all, and by the time I’d finished it I was in love with my characters, I knew what they did next, and what problems they would face, and I couldn’t wait to write more about them. Before I found out about winning The Times competition, before getting any sort of contract, I had already written the first 10,000 words of ‘book 2’, which would become Beads, Boys & Bangles. And yes, there are beads in the book. Important ones. And boys. And bangles. Now Crow has a high-street collection, Nonie’s caught the eye of a gorgeous boy, Edie’s website has won an award, and Jenny’s rehearsing a new play. But there are rumours that Crow’s collection has been made by child slave labour in Mumbai. To stand up for what they believe in, the girls may have to give away everything they’ve worked for. Has Crow’s talent deserted her, just when the girls most need it? And how far do the girls have to go to try and save their dreams? And how did I manage to squeeze in a vintage Mary Quant minidress, some white plastic boots, twenty thousand historical elephants and the Taj Mahal? With difficulty! That’s how. But I hope you like it. Here’s a review from the lovely Carly Bennett (no relation, promise!) at Writing From The Tub. And another, from the equally lovely Jessica at Booked Up. Error: Error validating access token: Session has expired on Friday, 08-Feb-19 03:57:19 PST. The current time is Tuesday, 23-Apr-19 15:03:46 PDT.